for all you fabulous people out there who Artfully Parent! Great timing DCMers! I needed a fab wedding card for friends getting married on Saturday. 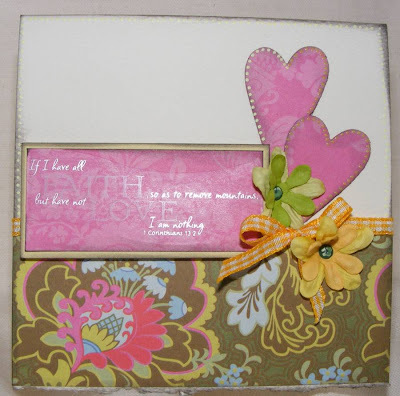 PP by K and Co, sticker by EK Success, flowers by Prima, ribbon, brad and heart punch from stash. A continuous life lesson, that I am struggling to learn! How the Lord is PATIENT with us! Please have a look at the SALT blog to see the other wonderful creations this week. 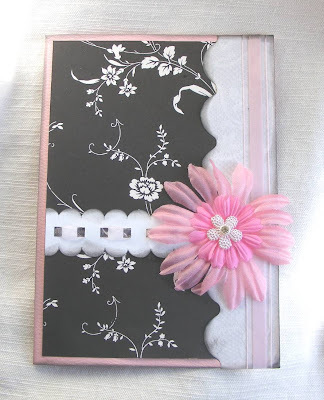 PP by Basic Grey, flowers by Prima, ribbon and brad from stash. This is my interpretation of the CPS sketch this week. our new concept for card shopping. Are you someone who loves finding unique cards for your loved ones? Would you like to give your friends something handmade that won't end up in the recycling? Would you like to receive beautifully hand crafted cards from designers straight through your door once a month? A card I made for my sis in law. 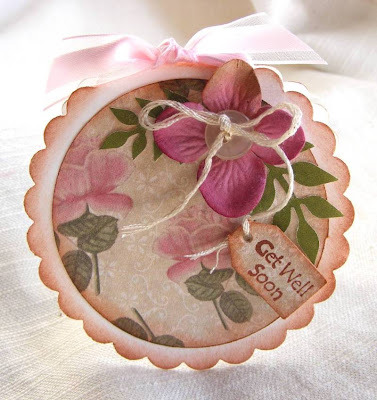 I folded card stock and used my large circle scallop punch just missing the edge to keep the fold to make this cute little card. Esther and I have been working on a card selling idea, watch this space! 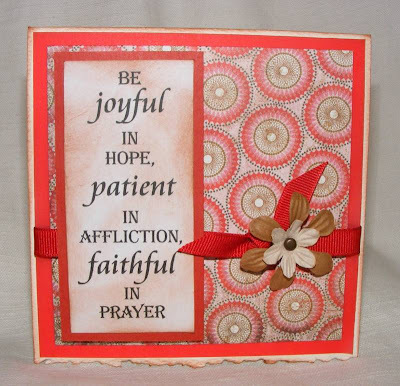 PP by HOTP, stamp by Hero Arts, flower by Prima. Ribbon, string and button from stash. This is my contribution to the SALT challenge this week. Casey set the theme of Freedom in Christ. Praise God that we are free to do what is right. 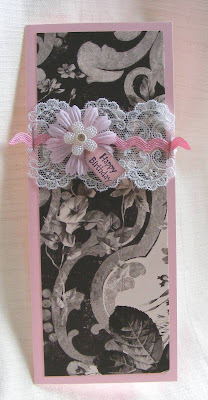 Tag by Melissa Frances, flowers by Prima, Sakura soufle pen, Brad and Robon by HOTP, ribbon, button string and lace from stash. PP by Anna Griffin and unknown. 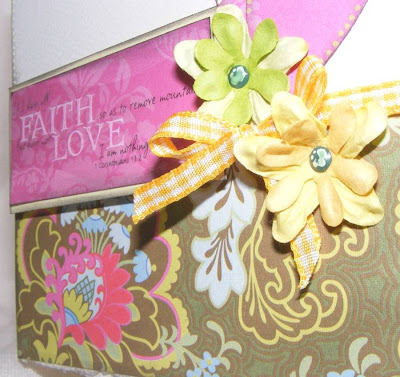 Scallop scissors by Fiskars, scalloped ribbon effect done on Craft Robo. Prima flower. Other silk flower, ribbon and embellishment from stash.